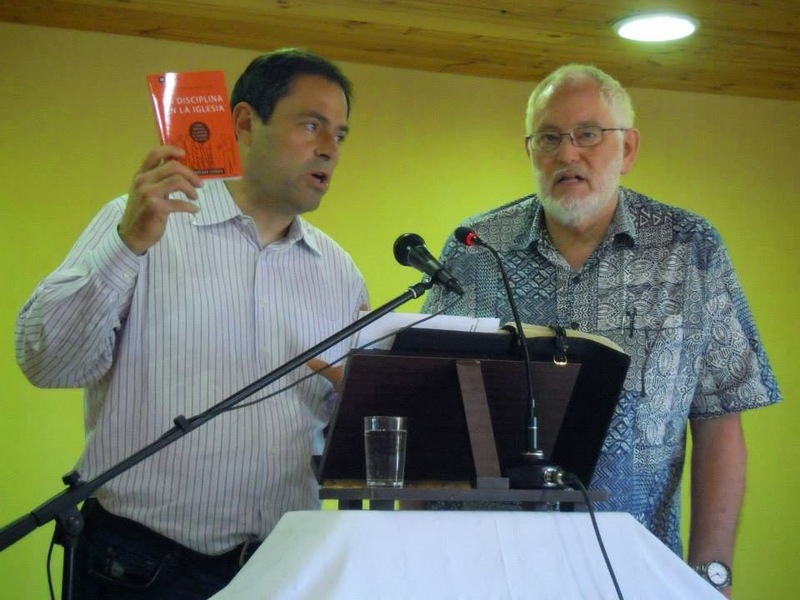 It was great to have Mark Dever in Spain for our first 9 Marks conference. Mark was invited to Spain to speak at Cipriano de Valera 2013. This is a conference for reformed minded pastors and lay leaders in Spain. We were able to share promote two of the 9 Marks books that Peter has been coordinating the translation and publication.Mark gave an overview of the charertisitcs of an effective discipleship ministry in the local church. We have a sweet time of fellowship and discussion. The two books that we promoted at the conference are available in pdf format the the 9 Marks web page. Check out La Disciplina en la Iglesia & La Membrecia de la Iglesia. After the conference Peter enjoyed travel with Mark and Jamie Owens to Toledo and down town Madrid.